See Lynn’s cute and practical skort and learn what she likes about it here. I finally did it! Finally was able to change over the old Over 40 Fashions iweb site to a modern site with a lot more functionality and ease of use! You can now search for styles by category (tops, bottoms, accessories etc.) and also by tag (body shape and possibly other tags in the future). Thank you for being so encouraging of my little volunteer experiment since 2009, allowing women of all sizes to show off fashions they like from their own closets. Women 40+ get to play dress-up, share what works for them, educate women of all ages on what stands the test of time, as well as encourage each other. Instead of trying to fit into styles/shapes/sizes/trends that aren’t flattering anymore (and were they even flattering back then anyway? ), we are showing what DOES look flattering now, what we enjoy, and telling why we enjoy it. If you have arthritic feet and can’t wear high heels anymore..what cute shoes CAN you wear? Show them off! On Over 40 Fashions, we share what we like and give our opinions so we can get great new ideas on where to shop to find styles, colors, sizes, and fashions that work for us. I’m also hoping the fashion industry and advertisers catch on and start using real women 40+ of all shapes and sizes as their models (if you model on this site, you’ll be getting exposure to that very industry…so if you’ve ever wanted to be a model, here’s your audition:) This is why I say “If you don’t see someone who looks like you as a model, then we need YOU to contribute!” Plus, tell your friends you’re an international (internet) fashion model – how fun is THAT? I’m looking for clothing advertisers who want to reach the 40+ female to sponsor/advertise. I’ve been hosting and honing Over 40 Fashions since 2009 as a hobby and feel it’s to the place where it can make a larger impact. On another note, I’ve had people asking where they could donate, so I’ve included a donation entry on the paypal button under the sponsor link. If you feel you’ve learned something new from this site, or want to say ‘thank you’ for the opportunity for women of all shapes and sizes to be seen and heard, feel free to donate a few bucks if you feel so inclined. I’m so happy for those excited to share this journey. Please subscribe using the subscribe button on the Over 40 Fashions website so you can get all posts immediately and you don’t miss anything. Tell your friends. And please, be a model! via Over 40 Fashions | women 40+ wearing/sharing clothes we like. P.S. this may mean some of the fashion ideas that I previously blogged about will only be seen on the Over 40 Fashions site in the future. From Fresh Produce, this periwinkle and white dress (in that popular starfish pattern) has pockets. It’s 100% cotton. I wash it on cold and hang dry. The tee shirt, from Fresh Produce, is 100% cotton also. Both really breath. The dress, like the tee, is soft with a bit of stretch in it but also enough body to hold its shape. Comfy! 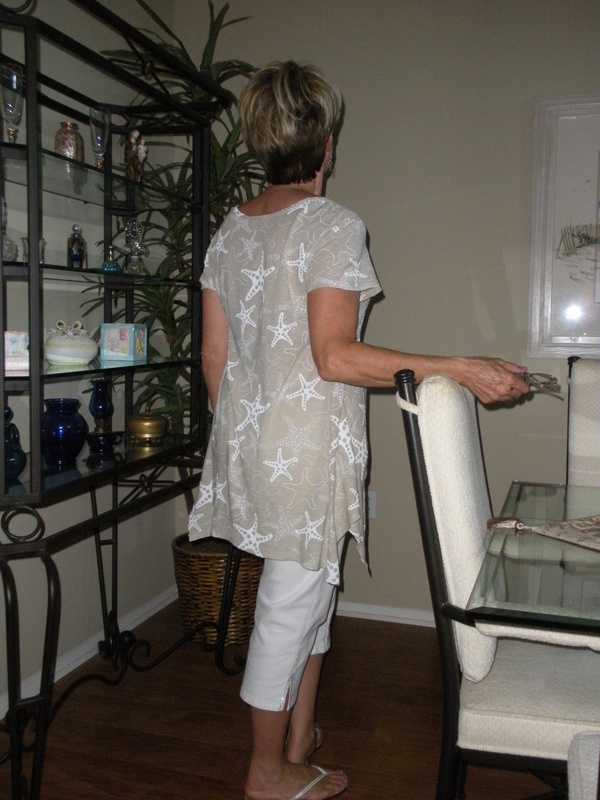 Here’s contributor Lynne Spreen, talking about her new favorite place to shop for breathable fiber casual clothes. Hi Barb, here is the first outfit, 2 pics, one of back and one of front. 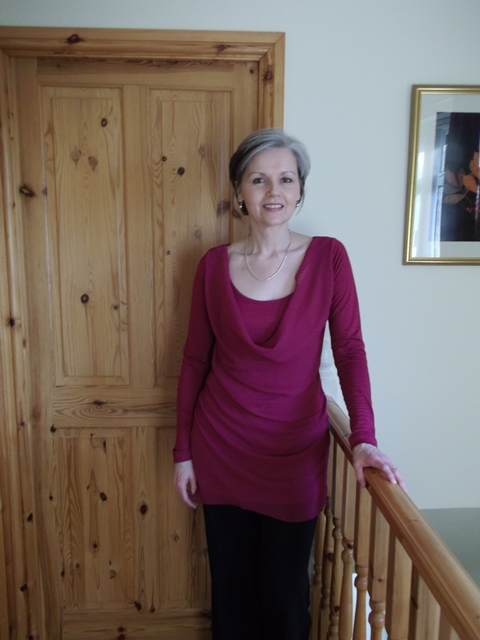 Tops designed to flatter women 40+! PRACTICAL is the operative word for this new clothing company, and ATTRACTIVE is the operative word for these new tops! Covered Perfectly is a clothing company started by Pauline Durban, because she couldn’t find clothing that flattered her body. She wanted tops that covered her arms and that were long enough to go over her belly. She wanted comfortable soft fabric, and styles that made her feel good about herself. So she designed a line of tops that ‘covered perfectly’ and made them easily available. Covered Perfectly launched on May 5th 2013, so this is a brand new company with lovely clothes at reasonable prices made of fabulous fabric (the main fabric is a natural fiber, MicroModal, with a touch of spandex, which is super soft and luxurious and drapes wonderfully). Pauline listens to the opinions of her customers – by popular demand she’s in the process of adding plus sizes to her collection, which should be in by the end of September. Check out the Covered Perfectly website and see these gorgeous clothes for yourself. For our readers at Better Ideas Now and Over 40 Fashions, use the discount code OVER40 and get a discount of 20% off your first order! You’ll support a women-owned American business making a positive difference in women’s fashion, AND you’ll get fabulous fitting tops at a great price! Young photographer Ari Seth Cohen has captured the fashion sense and confidence of the classic older set in his book Advanced Style. As a boy, his grandma’s fashion sense, watching classic movies, and taking trips to the library to see pictures of the past enamored Ari. He was struck by the images of elegant and glamorous times where men and women wore hats, gloves, and dressed up because it was the thing to do. 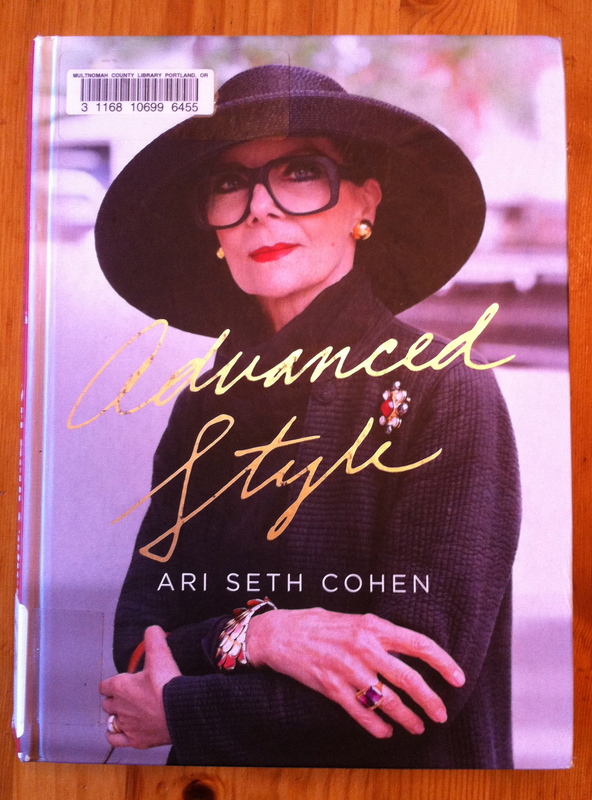 Advanced Style shows Ari Seth Cohen’s photos of real women, most in the age range of 60-100, many giving advice on how they chose styles that work best for them. Just thought I’d like to participate in your ‘Share Your Style – Be A Model’. I think it’s a wonderful idea to showcase ordinary women, no matter what shape or size, because, after all, we are the REAL women of the world. I am 50 years’ old. I am grey and proud. I am a UK Size 12 (occasionally I’ll get away with a 10) and am most probably a ‘pear’ shape. I am 5′ 6″ tall.